Few plants are easier or more gratifying to grow than sunflowers, making these vibrant, fast-growing beauties the perfect choice for anyone who wants to add a splash of color to their backyard or patio. There’s a huge assortment of sunflower seeds on the market today including fast-growing dwarf varieties that reach about 18″ high and seeds that yield plants measuring over 14′ tall! If you’re brand new to sunflower growing, consider planting a few different varieties and colors. Today’s sunflowers come in a range of colors including the classic yellow along with oranges, reds, and bi-colored. One of the things that make sunflowers fascinating to grow is the fact that sunflower buds will literally follow the sun while growing. The brilliant yellow buds turn to track the sun as it moves across the sky daily, and as they reach maturity, sunflowers gradually stop moving, settling in an east-facing position. It should come as no surprise that true to their name, sunflowers love bright locations where they are exposed to direct sunlight throughout the day. And because they have long tap roots, these plants need a bed that’s about two feet deep and three feet wide. Sunflowers thrive in fertile, airy soil that is rich in nutrients and well-drained — that’s why it’s a good idea to mix some high-quality organic compost into your garden beds before planting your seeds. The compost will add essential nutrients that your sunflowers need to thrive while helping with both water management and weed control. Remember to aerate the soil well to make room for the deep root system. While it’s possible to start your sunflower seeds inside, most experts recommend sowing directly into your garden due to the rapid growth rate and long roots on sunflowers. If you live in an area that’s susceptible to frost, wait until the soil has warmed up before sowing your sunflowers to improve germination and survival rates. 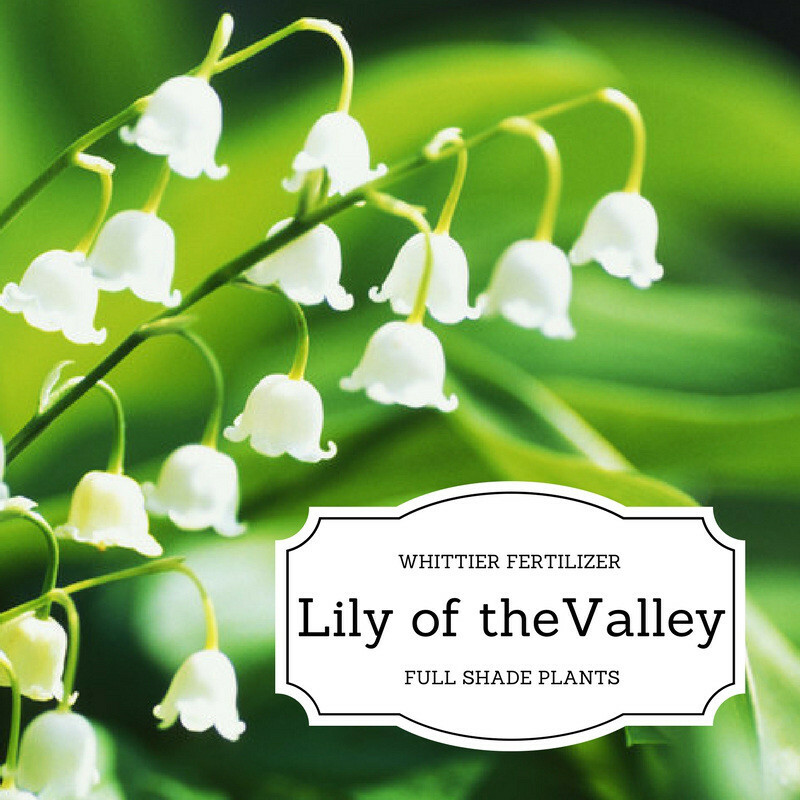 Most varieties will need to be planted about 1″ deep and spaced anywhere from 6″ or more inches apart, depending on the type you’re growing. 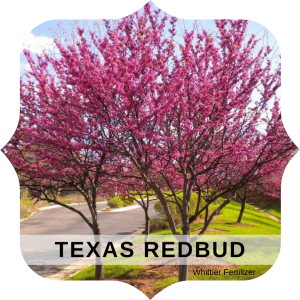 Consider staggering your planting over a month or so to enjoy a steady supply of blooms throughout the growing season. Once your plants have sprouted, keep the root zone moist but not wet. Once the stalk begins to form, cut back on your watering schedule to once or twice a week to promote the development of a strong root system. Avoid the urge to over-water, as this can lead to fungus, mildew and shallow roots. Tall sunflowers will need to be staked about 2/3 of the way up the plant, leaving room for the head to move with the sun during development. Sunflowers are the perfect addition to an indoor bouquet. Simply choose a plant that is just about to fully flower, and be sure to cut the stem early in the morning to prevent premature wilting. When kept in fresh water, sunflowers should last a week or more. And if you’d like to harvest the seeds for use in your bird feeder, cut off the flower heads at the end of the season, hang them upside down, and shake the seeds out. As you can see, with the right location, some occasional watering and a dose of quality organic compost, you can enjoy bright, cheery sunflowers in your garden this season! In Southern California, there is no shortage of opportunities to grow a beautiful garden. However, for those looking to create a garden designed to specifically attract butterflies and hummingbirds, along with other birds, it’s important to pick and choose flowers and plants carefully. Some actually work as a deterrent. Yet, each of these living creatures has the need to find food. By providing opportunities for them to find this in your garden, you’ll attract a wide range of wonderful birds. Choosing wildflowers and other nectar and pollen-rich plants is the ideal way to bring in butterflies and birds to a garden. This includes plants such as fennel and milkweed, both of which are ideal to encourage butterfly larvae to feed. When choosing these plants, be sure to look for those that bloom over a period of time, allowing for a ready supply of nectar within the space. Expansive beds of flowers are ideal for attracting a large number of butterflies. A blanket flower is ideal for this. 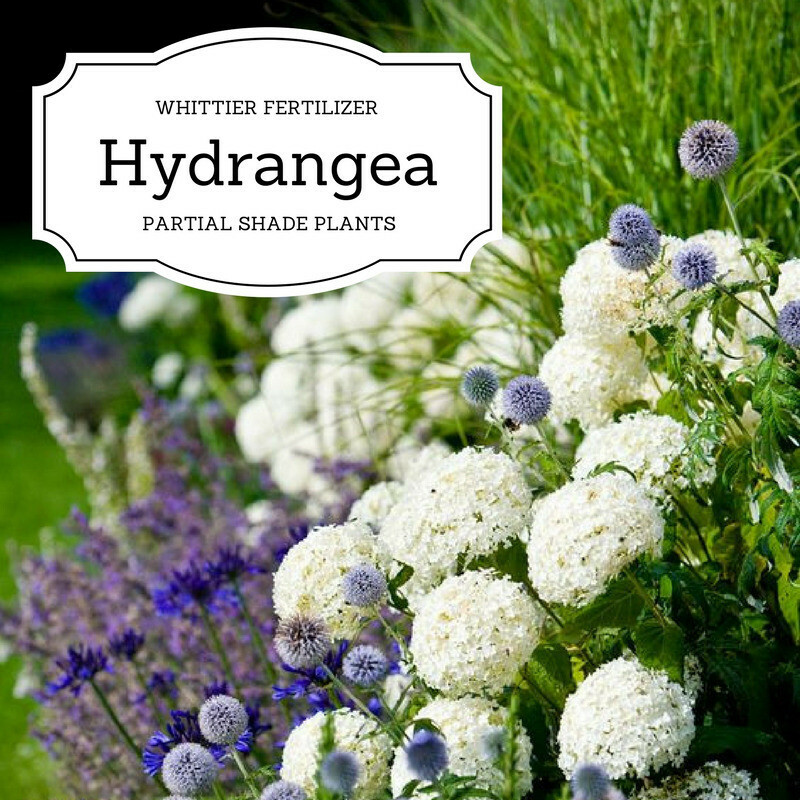 In short, these are the type of drought tolerant flowers most areas of Southern California benefit from because they are easy to manage and can grow well in all soil conditions. Known as Gaillardia, these flowers are brightly colored and sure to attract a large number of smaller birds and butterflies once in full bloom. For those who want to bring in bees and hummingbirds, consider Joe-pye weed. It’s tall, reaching as high as six feet in some cases. However, because it will grow in thick and dense, it tends to attract a large number of hummingbirds and some butterflies. It does very well in this climate but does not require a lot of attention from users. 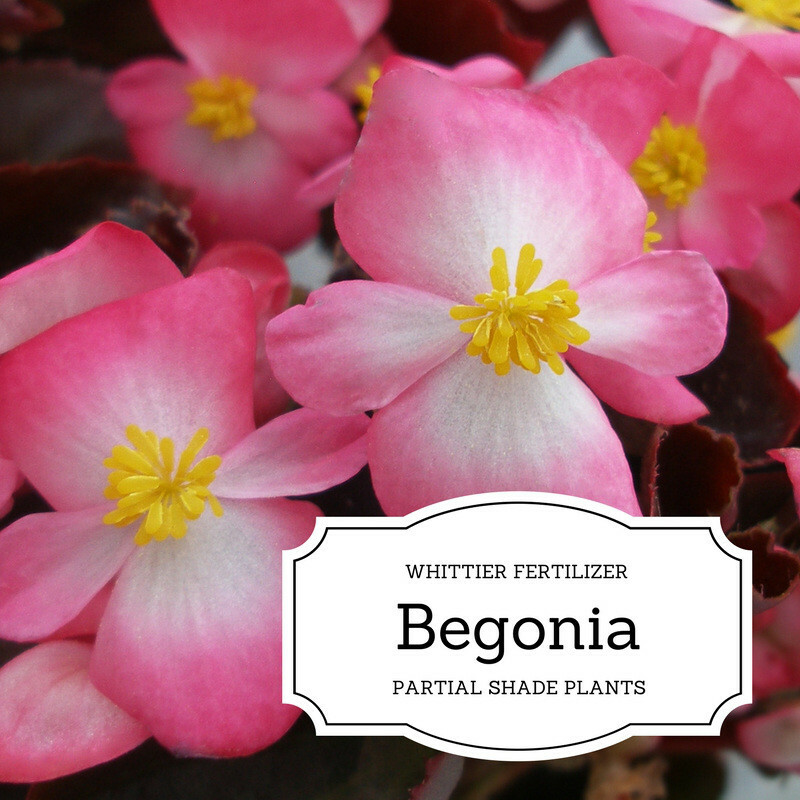 It does the best in areas where it can grow in full sun – such as the back of your garden. 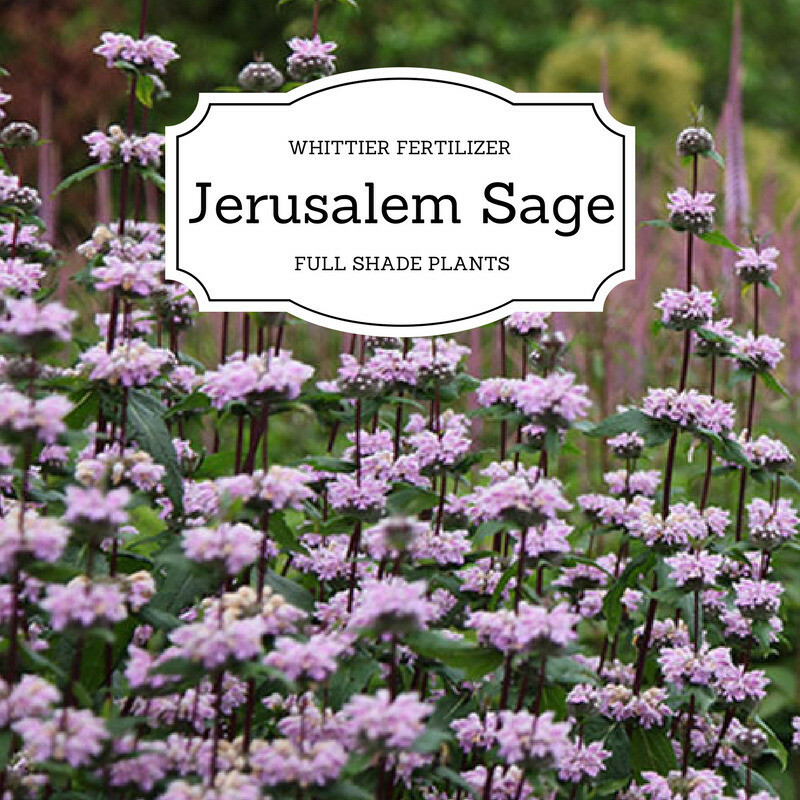 Use it as a plant to place along the border so it does not tower above the smaller plants. Coreopsis verticillata or tickseed is another desirable option in this area for butterfly gardens. This plant grows densely in the area it is placed. The summertime brings with it sweet and beautiful little flowers. These flowers are what attract a large number of hummingbirds and butterflies to the space. Tickseed is easy to grow from plant or seed form. Generally, they are reliable and blossom well, attracting a large number of birds. Believe it or not phlox, (phlox paniculata) has become one of the most popular options for those looking to establish a beautiful garden. However, it also works well for those planting a butterfly garden. The plants grow in thick, which creates numerous small flowers. Those flowers are always an attraction to birds. The nectar from them – in the fall and summer months- is highly attractive. It tends to bring in a wide range of small bees and butterflies in most areas. And, they tend to display a stunning amount of color, too. Aside from choosing the best plants, be sure to invest wisely in the best type of plants and fertilizers. Organic products are the most effective and produce the best results. It’s also a good idea to place them close to shelter away from predators. And, be sure there is a source of water nearby to help keep them close by. Prized for their buttery textured, highly nutritious and delicious flavored fruits, avocados trees have become a staple of the California landscape. From backyard growers to commercial farms they flourish and thrive by the thousands. As plentiful as they are in Mid to Southern California this is not their native home and they actually prefer an even warmer climate. While this obviously doesn’t mean they are not a viable plant in the local environment, it does mean that they may require a little seasonal upkeep to remain in top health and delivering maximum beauty and production. 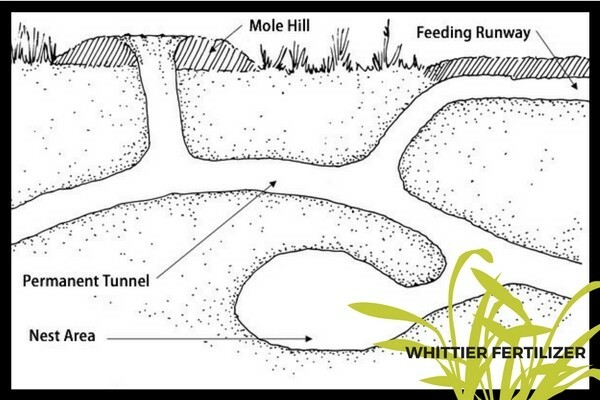 California rains tend to deposit a high amount of salts in the soil. This can be detrimental to your avocado trees health and it may be necessary to practice leaching irrigation come autumn in order flush these salts out as a first step in returning your soil back to optimum health. Leaching irrigation is slightly over watering your groves or garden area while providing sufficient drainage to carry away unwanted minerals. An unfortunate side effect of this practice is that the good nutrients can be washed away with the bad salts and it may be necessary to apply an extra cycle of fertilizer to reinvigorate the soil. A good choice for this application would be E.B. Stone’s GreenAll Citrus & Avocado Food 14-4-8. 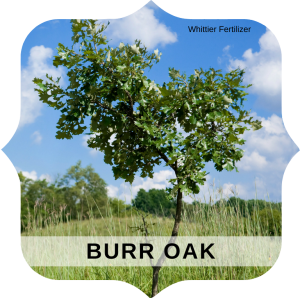 It is completely organic and provides a quick boost to the soils nutrient content as well as slow release agents to carry your trees through the winter season’s slow growth period. As with any plant, proper nutrition is a key factor in maintaining your avocado’s health. This means providing the appropriate levels of nutrients in the proper seasons. For optimum health, soil/leaf/water tests should be run seasonally and appropriate nutrients provided. As a general rule, the healthier your soils microbes the less fertilizing your trees will require. A yearly application of Grow More Citrus & Avocado Organic Fertilizer is an ideal way of ensuring healthy colonies of microbes in the soil. It has a special blend of ingredients designed to promote biological activity in the soil, encourage and support the growth of beneficial microbes and naturally stabilize and condition the soil. Light pruning that encourages an abundant growth of foliage is an important factor in receiving high yields. Avocado trees are evergreens and can be lightly pruned most any time of year. Heavy pruning though should be performed in late winter or very early spring. Pruning avocado trees any other time of year could run the risk of placing your trees in an alternate bearing cycle. Heavy autumn pruning should especially be avoided as this can cause a frost sensitive autumnal growth flush and could lead to the loss of an entire season’s fruit. The tropical rainforest is the natural home of the avocado tree. Though there have been many varieties, like the ‘Fuerte’ and ‘Hass’, developed over the years, it is still primarily a hot climate plant and needs to be protected from freezing. In areas prone to heavy frosts and below freezing temperatures, care should be taken to ensure free airflow to prevent cold air pooling. 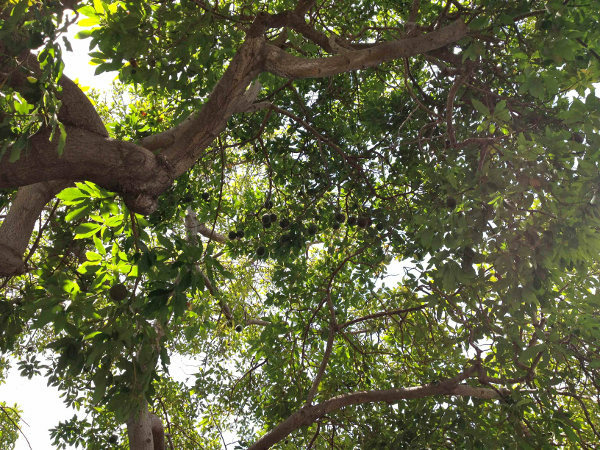 If needed light pruning can be used to facilitate air flow and irrigation and wind machines can be used to assure proper ventilation for your trees. Avocados are delicious and nutritious and, despite how it may appear they are really very forgiving plants to grow. 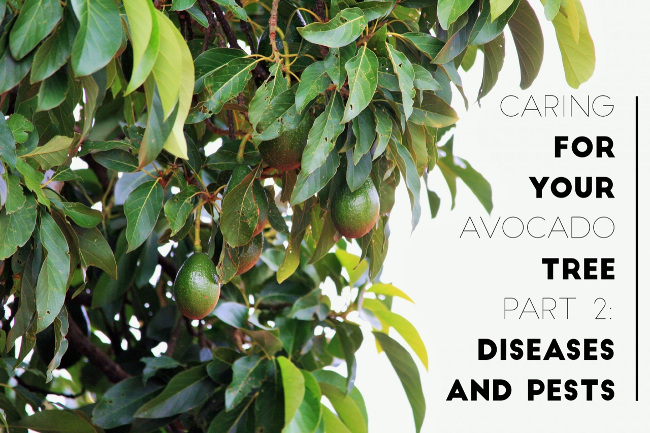 Considering that a single California avocado tree can produce anywhere from 60 to 200 pounds of fresh fruit each year they are more than worth the little effort it takes to maintain them. 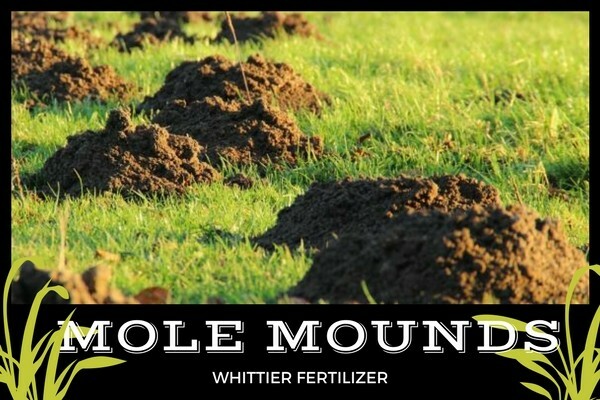 For all of your gardening and landscaping needs contact Whittier Fertilizer. Your “One Stop Landscape Supply Center”, serving nurseries, gardeners, landscapers and homeowners throughout the Southern California region. Kale is the ideal crop for both beginning gardeners and seasoned growers alike, thanks to the fact that it grows quickly, performs well in both garden beds and containers, and it’s exceptionally hardy. In the last few years, more and more health experts have crowned kale a superfood as it is packed with anti-inflammatory compounds, cancer-fighting antioxidants, and even folate, a critical nutrient for the prevention of birth defects. At a mere 36 calories, O grams of fat, 3 grams of protein and an impressive 5 grams of fiber per one cup serving, it’s one of the most nutritionally dense vegetables you can grow. Kale is also packed with health boosting vitamins, minerals, and nutrients like lutein – a naturally-occurring compound that has been shown to help improve eye health. Researchers have shown that eating steamed kale lowers levels of LDL (bad) cholesterol while boosting HDL (good) cholesterol. Kale can be eaten raw or cooked, and one cup of cooked kale contains nearly 100 percent of the recommended daily intake of Vitamin A, and over 70 percent of Vitamin C. Some of the more popular uses for kale includes blending the raw leaves into a green smoothie, baking up a batch of kale chips, or even substituting kale for romaine lettuce in a Caesar salad. There are three main types of kale available to gardeners today, and each type has it’s own unique appearance and taste. Black Kale, also called Tuscan or Dinosaur Kale, has long, relatively flat leaves that are dark green in color. This is the type of kale is used most often in traditional Italian cooking, and it’s exceptionally easy to grow. Black kale is ideal for making kale chips, or for use in a soup. Red Kale, also known as Red Russian Kale, has large, frilly leaves with red, pink, or purple stems. 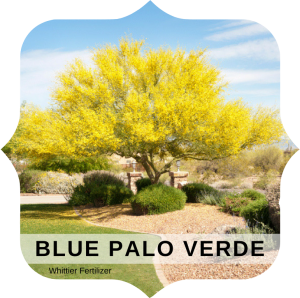 This variety is often used for ornamental plants and to garnish platters, however, it can be safely eaten as well (although it tends to be tough and have a strong cabbage flavor). Curly Kale, also called Scotch Kale or simply Green Kale is often used as a substitute for lettuces in salads. It grows quickly in tight, compact bunches, and when harvested early, the white stems can be quite tender and even slightly sweet. Kale is a member of the cabbage family, which means that kale plants tend to thrive during colder weather in the spring and the fall. In most areas, kale can be harvested twice a year – it goes dormant when the weather gets either too hot, or too cold. Whether you have a small container garden, raised garden beds, or a large in-ground planting area, it’s a good idea to sprout your kale seeds then transplant the seedlings. Take care to give your kale plants lots of room to grow. Watering frequently when they’re young will help to produce tender, sweeter kale. 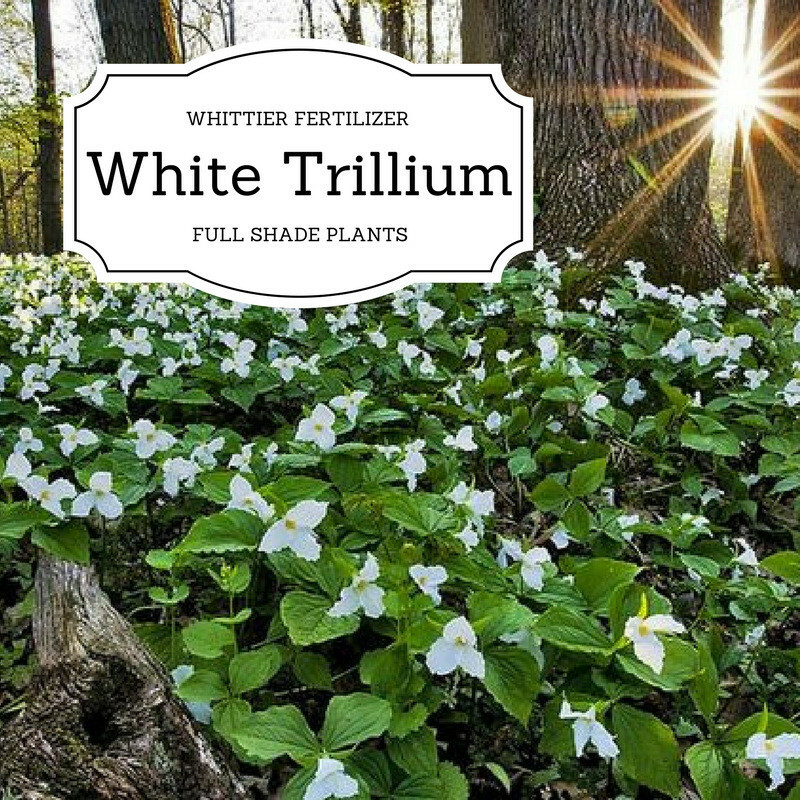 For heartier, higher yielding plants, fertilize with a food-safe fertilizer that’s designed to work well with vegetables, and mulch or compost with straw, or fine bark to produce clean crops. Be sure to monitor for pests like cabbageworms, cutworms, and cabbage loopers. While kale is relatively resistant to pests, keeping your crop well-fertilized can help cut the chances of an infestation. Kale is among the easiest, most nutritious plants you can grow, so why not try some kale in your garden this year? If you want a lush and productive garden each year, then you need to learn how to care for the soil and provide your plants with the nutrients they need. Good soil is dark and filled with all of the vital ingredients plants need to grow, but it can be difficult to have fortified soil when you put your garden in the same spot every year. Instead of destroying your yard by moving your garden around, you can improve the garden soil in your favorite spot and get the kind of garden you want every year. Each year, you need to dig up and turn your land to replace the barren dirt with fertile soil. Turning over your soil helps to rejuvenate your planting area naturally, and it gives your soil a chance to recover from last year’s garden. When you turn the soil, you also allow the fertile ground underneath to get exposed to healthy air and sunlight, which will help your garden to grow. By spreading fertilizer and compost over your garden planting area, you will add valuable nitrogen and other nutrients to your soil. Contrary to popular belief, not all manure makes for good fertilizer. To avoid any possible damage that can be done by using the wrong manure for your garden, you should utilize reliable, organic, products to enrich your soil. Using a compost will add a layer of nutrients to your soil that are released over a long period of time. This will give your soil a constant supply of the organic materials it needs to produce a lush garden. Utilizing deep-rooted plants can both preserve your garden soil and give you better growing results. Set aside sections of your garden for plants that have roots deep enough to reach into the untapped and fertile soil a foot or more down. These plants will grow strong and healthy, while not disrupting or taking away any of the nutrients from the top layer of soil. Cover crops have short roots and offer plenty of nutrients to the top layer of soil when they decay after the growing season is over. Plants such as clovers, beans, and peas release nutrients into the soil when they are done growing that can be as effective as adding compost or fertilizer. Move your patches of cover crops around each year to offer the maximum coverage to your garden soil. Mulch acts as a way to protect soil from too much moisture and extreme temperatures, and it also helps preserve the nitrogen in the soil. 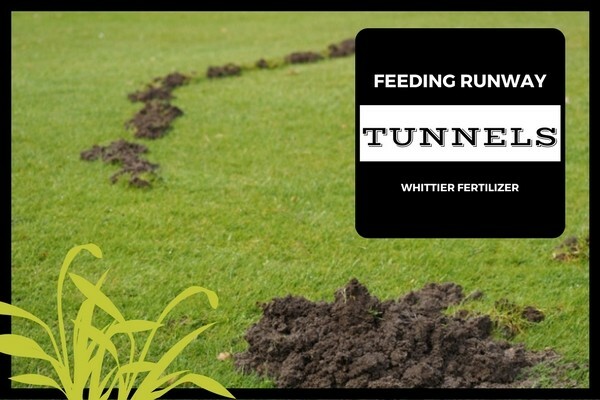 Whittier offers a mulch that protects and sustains soil without any of the side effects that can come from other forms of mulch. When you use the right mulch in your garden, you will preserve the good soil that is available and provide more nutrients for your plants. A good garden is a labor of love, and there are plenty of ways to preserve your soil to get the results you want. If you take the time to improve your garden soil, then your garden will reward you year after year with the kind of appearance and crop output that you want. If you have been gardening for long you may have come across having a bumper crop (a crop that has yielded an unusually productive harvest) one year and a barren crop the next year. You may have told yourself that it was just a bad year for that particular vegetable, you most likely what your garden was experiencing a result of soil depletion. Every plant has its own nutritional needs. As plants grow they draw valuable nutrients from the soil. When these nutrients are used faster than nature can replace them the soil becomes depleted and unable to perform as it once did. One of the secrets to preventing this from happening is following a properly designed crop rotation plan. 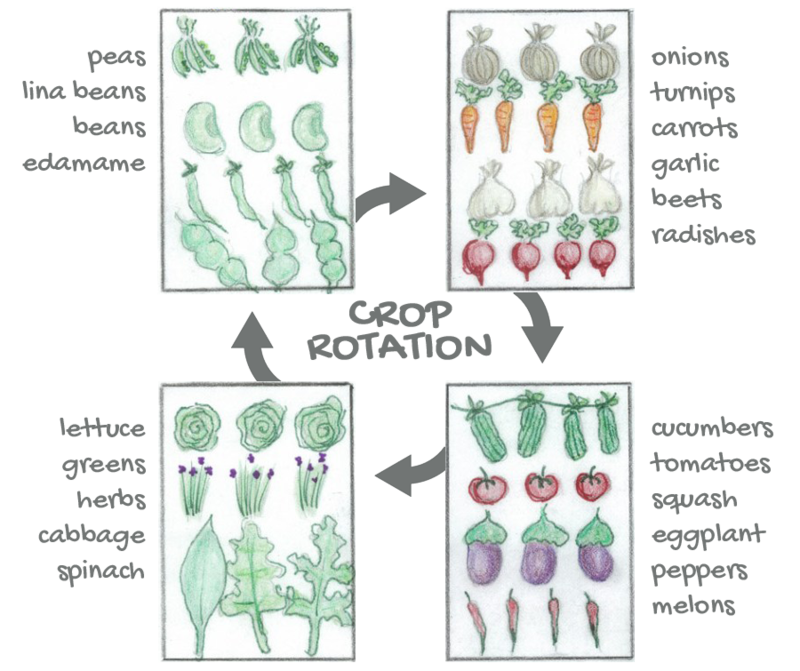 In simple terms, a crop rotation plan is a systematic approach to deciding what plants to place in what section of your garden. Many people don’t realize that just as some plants require more of certain nutrients, there are other plants that will actually feed your soil and help you in maintaining your garden’s health. The simplest way to develop a system of crop rotation is to think of what part of the plant you plan to eat. Now, divide your garden into four sections. This year, plant each of your four sections in the order of the list above and follow the suggested rotation each year. Legumes such as beans and peas are known as nitrogen fixers. 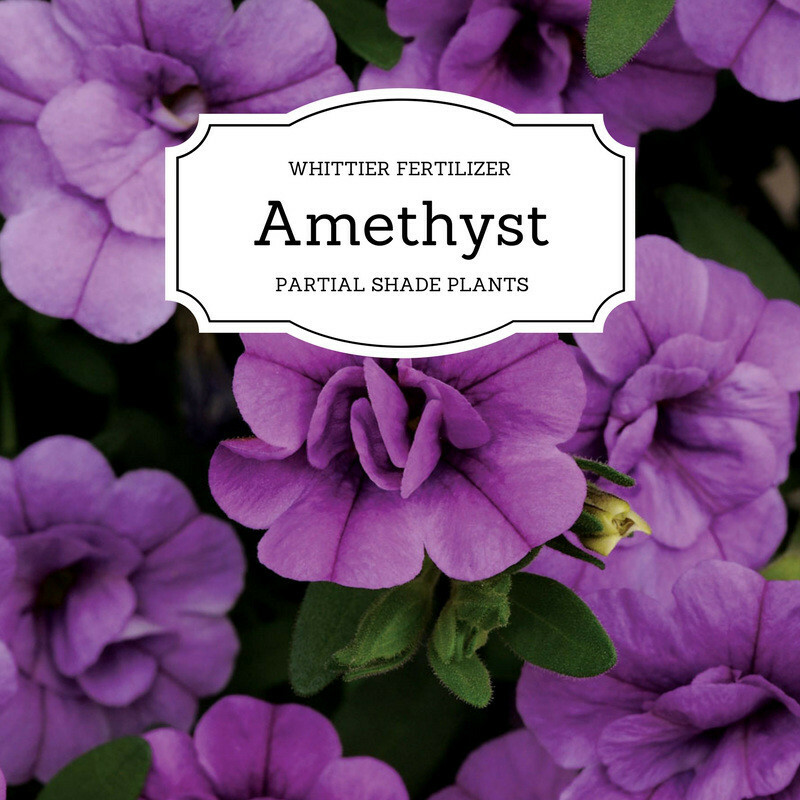 They actually draw nutrients from the air and their exposure to sunlight and help enrich the soil. They prefer to grow in loose soil so we plant them behind root crops that by their nature break up the soil. Leafy greens are highly disease and insect resistance so they are used to help prevent the build-up of disease-causing organisms in the soil and as a barrier to help prevent insects from migrating from one section of the garden to another. Fruits place the highest demand on soil so they are planted in the highest nutrients area and before the low demand root crops and soil-enriching legumes. Following a crop rotation plan will go a long way towards keeping your garden healthy and your plants happy but it is not the end of the story. Over time the nutrients levels in your soil will still become depleted. Along with rotating crops, it is very important that you also remember to introduce quality organic matter in the form of compost and mulch to aid your soil in replenishing itself.